In a previous post I wrote about forcing bulbs. 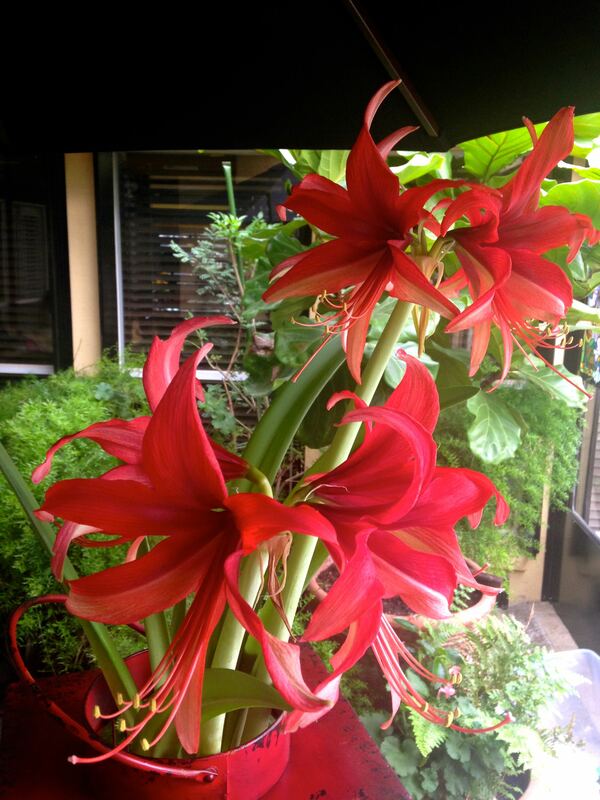 I usually force amaryllis bulbs only at Christmas, but have decided to do this year round. My Dad sent me a website for an Amaryllis Bulb Company www.amaryllis.com and I found a pretty tropical bulb called Cybister Bogata. We set the vase inside the red lantern for something different. I have a new bulb starting in the house and will keep rotating the blooms. Ants are out in full force, so this is much safer for me.